Part of terrazzo floor restoration is edging. To achieve adequate results in edging, you must use the proper tools and techniques. I’ve been on many job sites done by other companies to inspect their results only to find that, although they weren’t quite done with the job, they hadn’t yet started edging. Edging cannot be done like this, it has to follow the same progression used by the major tooling all the way up. 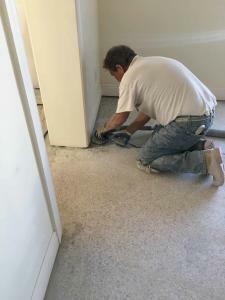 You cannot complete the floor before working on the edges. You will never achieve optimal results this way. Most hand tools will not fit under many toe kicks. You must have the proper hand tool to create the best possible results. I’ve been on many job sites on which no work was done under the toe kicks. Many companies will say their machine cannot cover edges. This is the reason you need a separate tool for the edges. 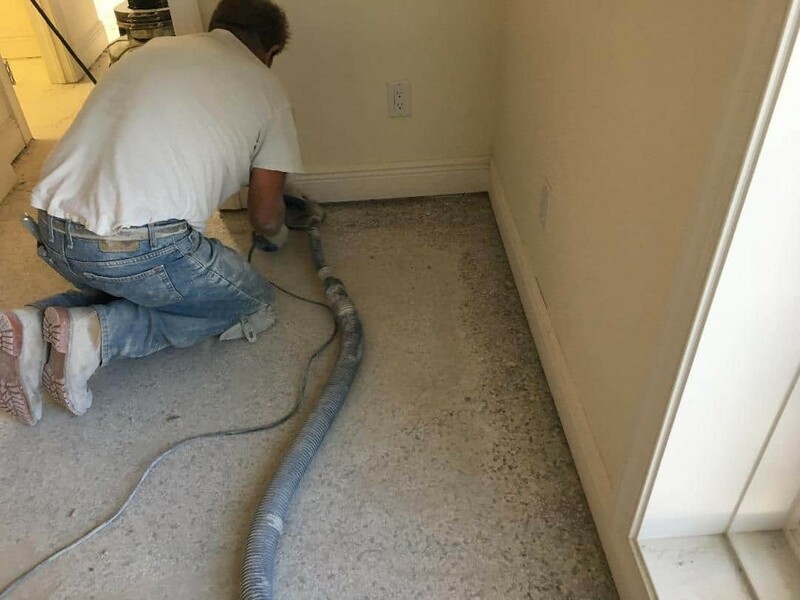 Edging is one of the most important aspects of terrazzo restoration. If edging is done improperly, or rushed, the overall look of floor will be diminished. The floor will end up being a different color around the perimeter. This shading difference can be caused by pad damage as well, but edging is still important in those situations as well. The importance of edging can never be minimized. 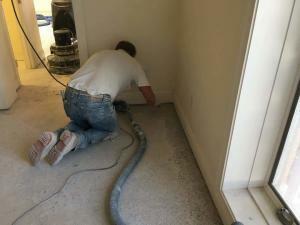 The edges will often look better than the rest of the floor before completion when edging is done properly. This is because the edge work should be further along in the process than the rest of the floor. Many times, I’ve been asked how we deal with the edges. We use hand tools, we’re very careful, and we know that proper edging procedures will result in is one of the most important parts of any job.